They’re currently enjoying a family vacation to the popular Caribbean island. 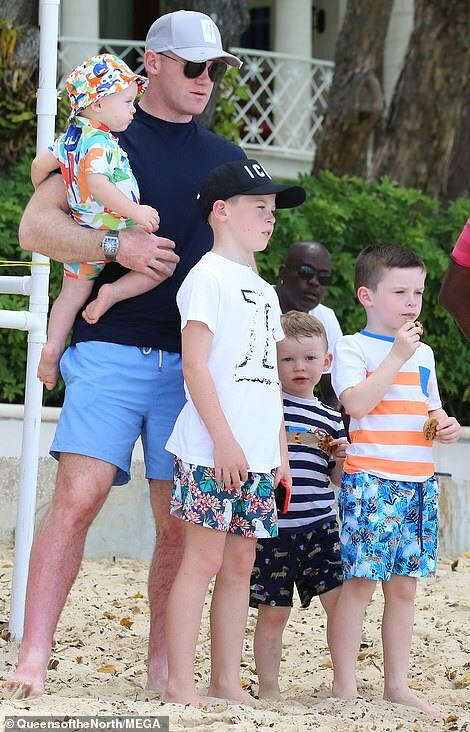 And Coleen Rooney looked sensational as she enjoyed a Barbados beach day on Sunday with her husband Wayne and their four sons – Kai, nine, Klay, five, Kit, three, and Cass Mac, 13 months. The Liverpudlian beauty, 32, showcased her toned figure in a tiny blue patterned bikini which had gold detailing on the triangle top and sides of the bottoms. Coleen appeared to go make-up free as she styled her brunette locks into a high ponytail, she finished her look with a pair of diamond earrings and chic black sunglasses. 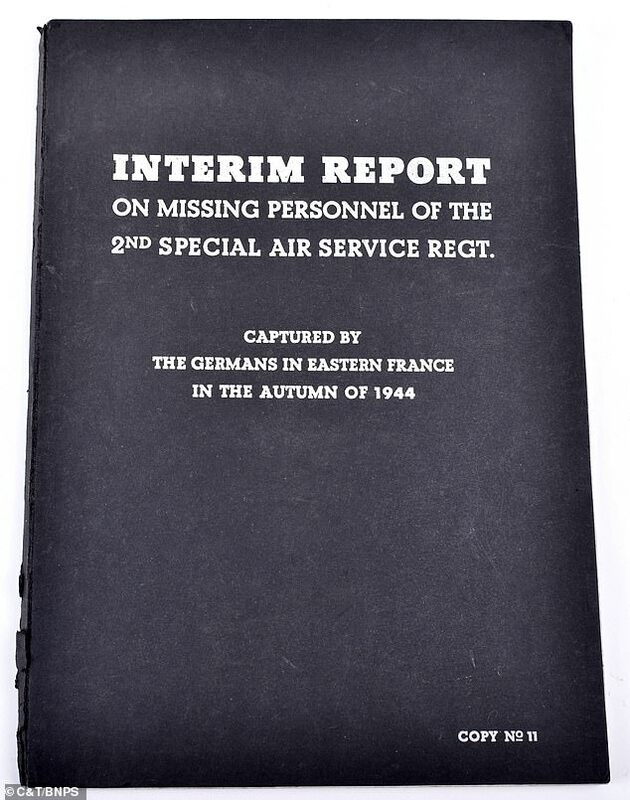 She later covered up on the beach in a pair of blue and white patterned chiffon shorts with a matching plunging shirt tucked in. The style writer looked every inch the doting mother as she carried her youngest son, Cass Mac, 13 months, on her hip who looked adorable in a funky patterned wetsuit with a matching hat. 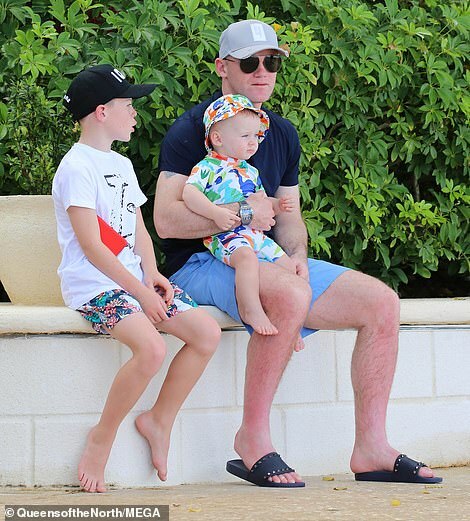 Wayne also got stuck into his dad duties as he was later seen sweetly holding the toddler in his arms, with a different snap showing the footballer holding three-year-old son Kit’s hand. 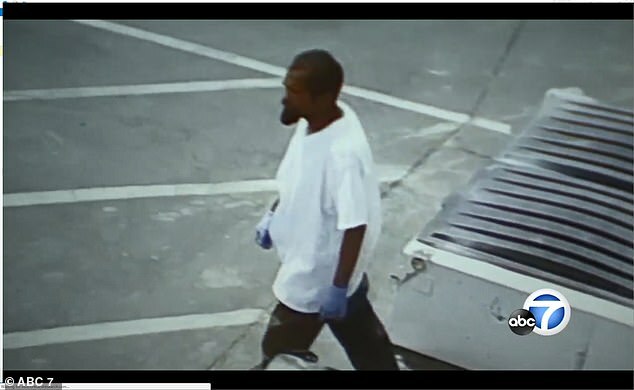 He tried his best to avoid sunburn as he donned a black T-shirt, blue shorts and a grey baseball cap. The family appeared to be having a good trip as they relaxed on the beach and went on to enjoy a fun-looking private speedboat ride across the Caribbean Sea. 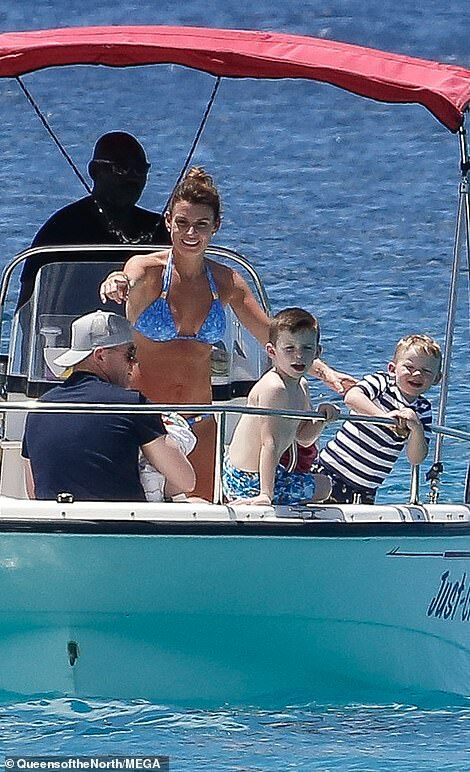 Coleen and Wayne’s eldest children – Kai, nine and Klay, five, also appeared to be enjoying the holiday as they sat on the side of the vehicle while watching the waves, with Kai going on to show off his impressive fly boarding skills in the sea. The Liverpudlian beauty appears to be firmly moving on from her husband Wayne’s latest drinking shame, with the whole family jetting off to Barbados for a sun-drenched break. With her wedding ring noticeably back on, the 32-year-old looked relaxed and happy during the fun beach day with her nearest and dearest. Coleen flashed her jaw-dropping diamond, which comes just a month after she was pictured without her wedding rock in Washington DC in early February when Wayne’s drinking shame emerged. 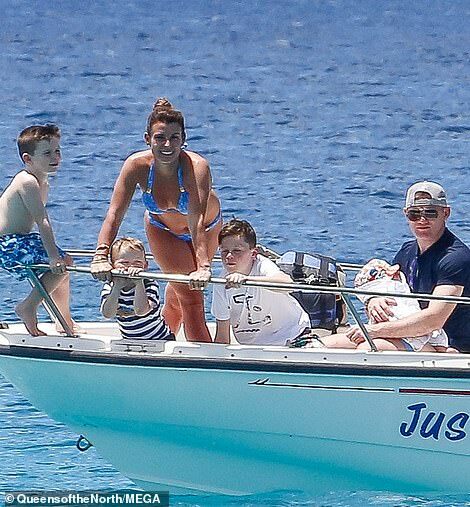 On Saturday, after the family were pictured enjoying another beach day, Coleen took to Instagram to post a sweet snap with all four of her sons, she captioned it with: ‘Mummy’s boys’ followed by heart emojis.